Mattel Inc. and KARL LAGERFELD announced that two of the most known fashion icons have come together in a partnership to release the limited edition “Barbie Lagerfeld” doll this fall. 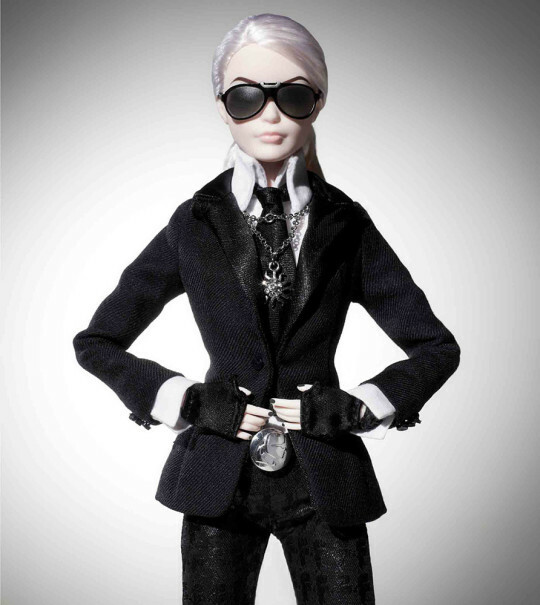 Barbie®, the fashion doll that started it all is teaming up with the one-and-only fashion phenomenon Karl Lagerfeld. 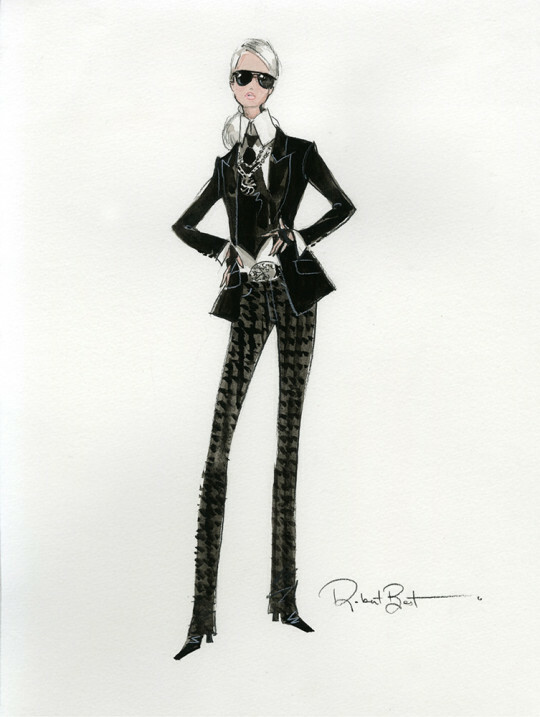 Taking inspiration from the designer’s signature style, the doll will be dressed in the designer’s like- ness with accents taken from the real KARL LAGERFELD line. 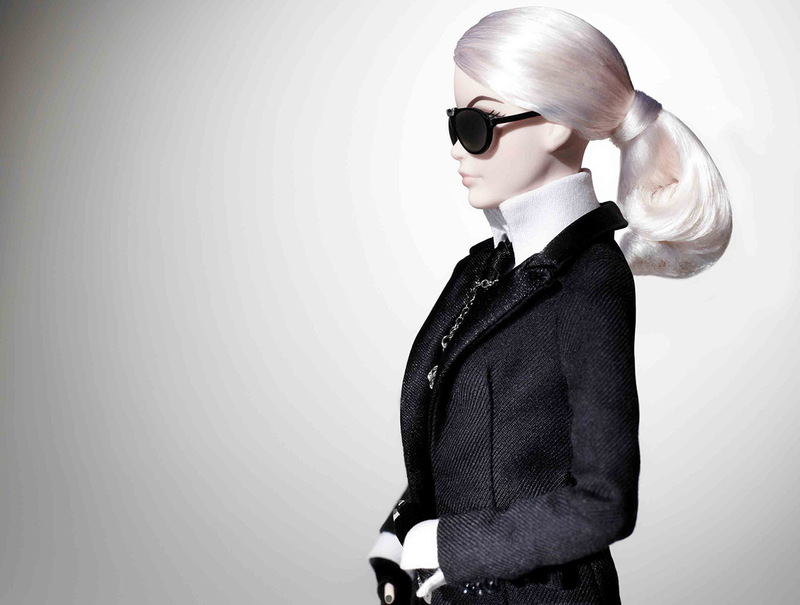 “Barbie Lagerfeld” captures the essence of Karl Lagerfeld’s namesake brand. Borrowing from Karl’s iconic silhouette, the doll wears a tailored black jacket, white high-collared men’s shirt with French cuffs and black satin cravat finished off with fitted black jeans. The exclusive doll is adorned in accessories that include black fingerless gloves, sunglasses, black ankle boots and a black leather purse with silver metallic accents. Celebrating 55 years, Barbie® doll’s famous face and head-turning style have made Barbie® more than the most popular doll in the world – today Barbie® is a worldwide fashion icon, pop culture princess and a global brand powerhouse. For more than five decades, Barbie® has inspired girls of all ages to dream, discover and celebrate their girlhood – from fashion to fantasy – all in a world where anything is possible.